​Real Madrid travel to face Leganes in La Liga on Monday, a match which Los Blancos will look to gain all three points in order to keep pace with the top two. Zinedine Zidane's side head into the game a whopping 14 points adrift of leaders Barcelona and comfortably displaced from the title race, but can close the gap to local rivals Atletico Madrid in second to just two points with a win at the Estadio Municipal de Butarque. ​Madrid are in the midst of a patchy recent run of form, having won one and lost one in their last two outings, and with Los Blancos yet to really hit top form under Zidane, victory on Monday could be a much-needed boost. Check out 90min's breakdown of this one. Leganes have selection issues in both defence and attack. Centre back duo Ezequiel Munoz and Kenneth Omeruo remain absent with a groin problem and a muscle injury respectively. Forwards Alexander Szymanowski and Youssef En-Nesyri are also set to miss Monday's clash against the European champions. Madrid captain Sergio Ramos is set to miss out on the game on Monday due to a first grade injury to his left calf which is set to keep the Spaniard out for up to three weeks. Meanwhile, goalkeeper Thibaut Courtois is also likely to remain absent with a knock which has forced the Belgian to miss each of the last three games, whilst defender Dani Carvajal and forward Vinicius Junior remain long-term absentees. ​Leganes are unbeaten in their last three games and are enjoying a solid season which has seen Mauricio Pellegrino's side rise to 12th in La Liga ahead of Monday's clash, and can take further encouragement ahead of their clash with Madrid from the previous encounter between the two. A 1-0 victory in the last meeting with Los Blancos in January was not enough for Leganes to advance from the last 16 of the Copa del Rey, as Madrid won the tie 3-1 on aggregate, but it proved that Pellegrino's side are capable of beating the European champions on home soil. However, Madrid have won all of the other four of the last five meetings between the two sides, and will be confident of a positive result once more with Zidane now at the helm. Leganes are on a strong run of form, having gone unbeaten in each of their last three games, and have not lost since a 2-0 defeat to Girona in March. Two victories in their last three games have set Pellegrino's side up in good shape ahead of Monday's clash with Madrid. 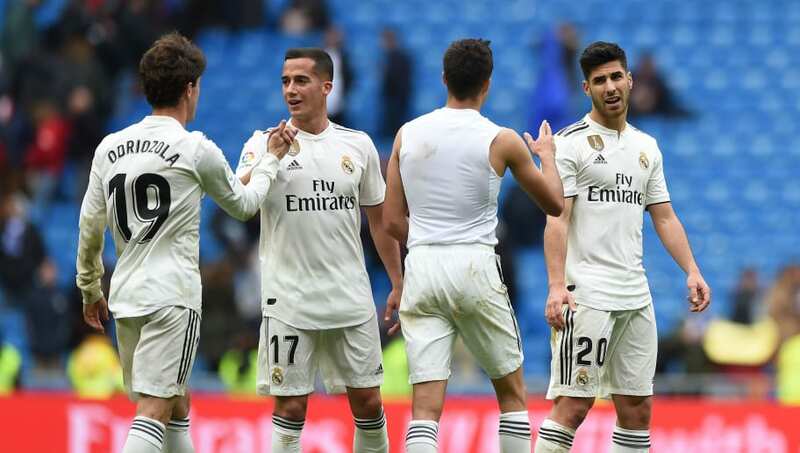 Meanwhile, Los Blancos have recovered from their quick-fire eliminations from the Copa del Rey and the Champions League at the hands of Barcelona and Ajax respectively with four wins in their last five games. However, defeat to Valencia in their previous away game showed that Madrid have plenty of work still to do under Zidane, particularly on the road, and Los Blancos will require an improved performance when they head to Leganes on Monday.